Three hundred and ten dives. That was the total accumulated by the team of professionals. The sum of the minutes that were spent under water would produce more than ten days, day and night, of scientific work without pause. 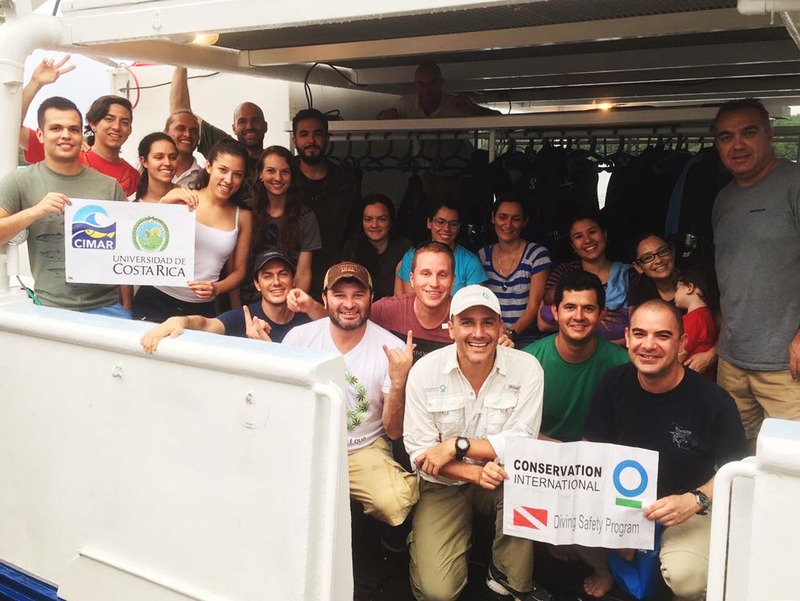 Edgardo Ochoa, from Conservation International, was in charge of the safety of the divers on this expedition and he estimates that for each hour of diving it takes about seven days of lab work once back ashore. Add to that the production of scientific articles, outreach strategies and the development of better marine resources management strategies based on what has been learned. The effort required to make an expedition like this possible is considerable, which is why we always seek to optimize the time invested and the information collected. Assessing the status of pelagic fish stocks was the main objective. At the same time, monitoring of the health status of the reef ecosystems surrounding the island was also a priority. Both analyzes have been the foundation of all the expeditions that Conservation International and CIMAR-UCR have conducted so far. After creating a baseline years ago, whenever scientists return to this natural laboratory they estimate changes in these ecosystems and correlate them to the influence of different factors such as El Niño phenomena or the implementation of protection measures within the park’s waters. While scientists spent ten days breathing underwater, they did more than look back at the past and compare it with the current state of the ecosystems. Whenever they visit the island, they take advantage of every opportunity to examine new environments or to implement new experiments. This expedition was no exception. The algal carpet, the acidification of water, the ecology of the sea urchins, the fauna that descends on the reefs and even the behavior of apex predators were also part of this ten-day long incessant research. None of these studies had ever been undertaken in this marine protected area. Work is just beginning. Experts have now returned to land, with their suitcases full of samples waiting to be processed as part of the endless effort to decipher the operation of one of the most productive ecosystems on the planet: coral reefs. While they waiting to deflate again their vests to descend on one of the best dive sites in the world, these scientists certainly have enough to keep them busy.